I just can’t resist posting this. This was what I found on my WordPress stats page. 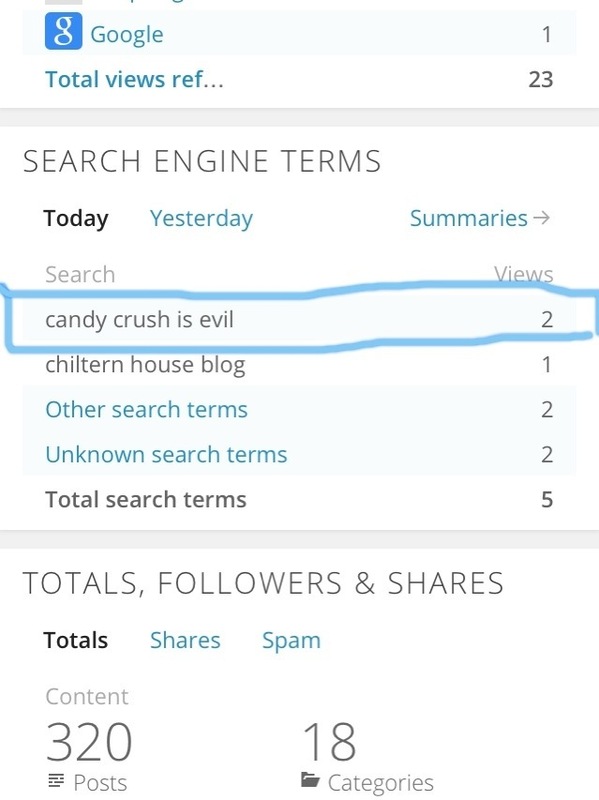 Someone used the following search terms and was directed to my candy crush post. BEWARE! Candy Crush is EVIL!